A shop owner always hints at big sale goals and he makes every possible effort to excel the other shop keepers in all perspectives like quality of the material they deal in, better display of the selling items and a comfort able and stylish seating for the customers as well. 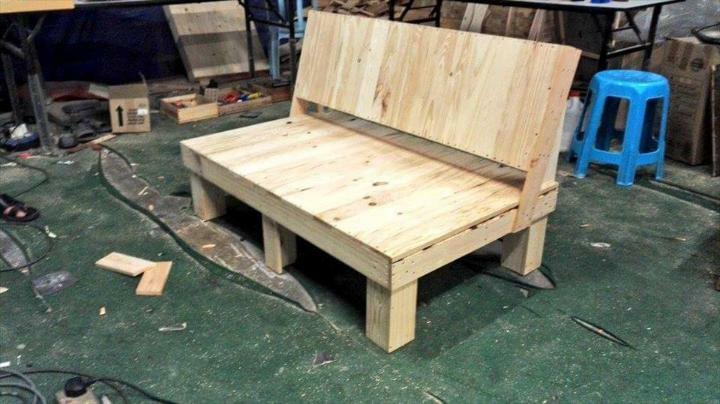 And if you think your shop needs an instant remodeling but you are short on budget then the pallet projects can be a really cheap solution to this problem. 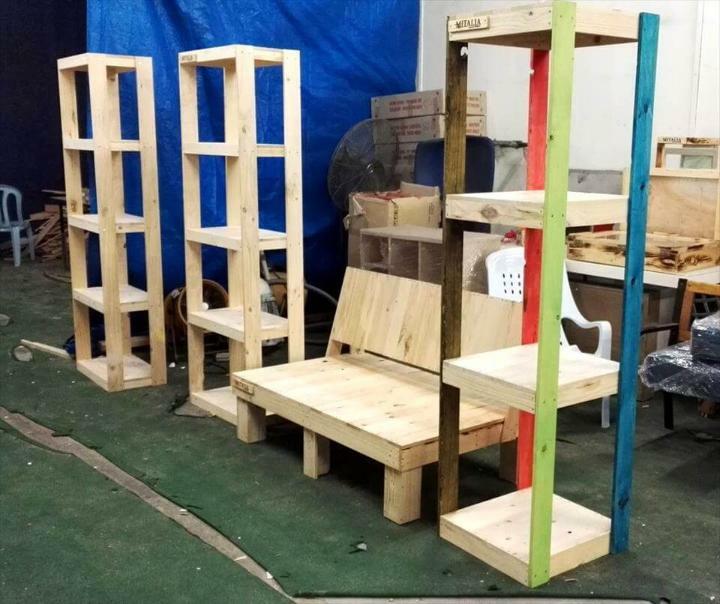 And to show you some examples we are with some models so have a look at these DIY pallet shop furniture including a pallet desk counter, a stylish sofa seat and two large size display shelf units. All the pieces have been built with the separated apart pallet slat and plank pieces having been packed and stacked quite finely. Here they offer a very rustic look in their unfinished avatar and can be changed in accordance with the décor and designing of your shop. 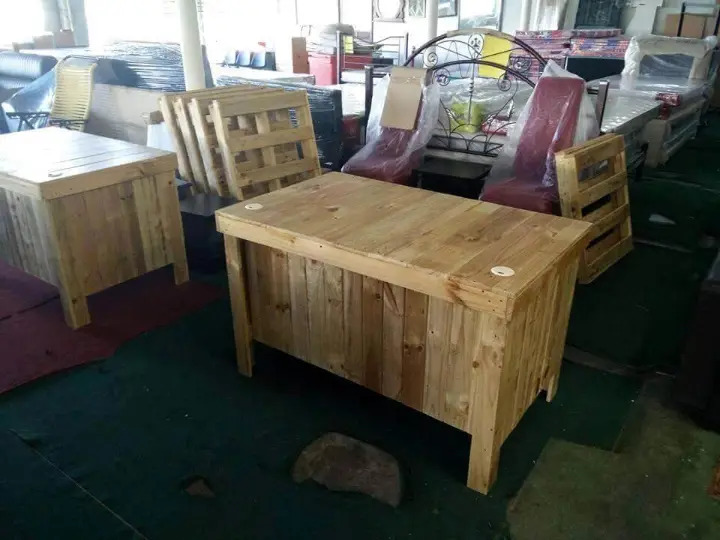 The pallets have entered to the industry field also as you can now build the office and shop furniture too out of and one example is above in the pictures having sofas, shelves and display racks. 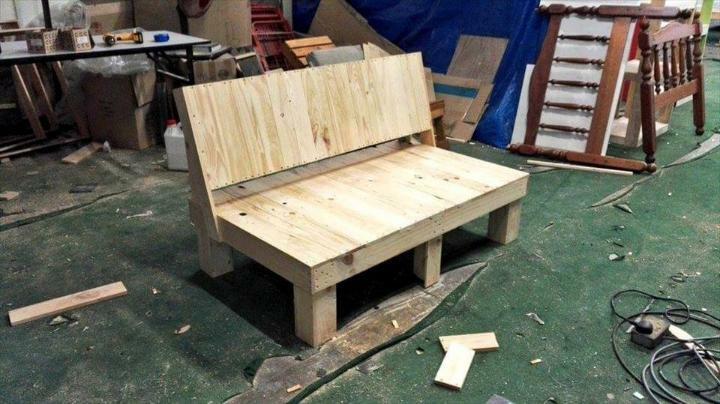 The sofa has been build from the pallet thick pieces like the boards with a plain big back, a wide seat and the four small dice sections like legs at the base to provide it a sufficient support system. If you use this sofa in your shop it would let the customers and clients have a comfort and style seat on it and with some stains you can make it look more dynamic and influential. The front and the entrance of a shop or office needs a dek counter and that one can also be made from the palelts like this one and thus you can get the whole shop furniture and that too at low cost.